Does anyone know if the VO randonneur rack with the integrated decaleur will be suited for the height of the Ostrich bags (21-24cm)? Or: at which height have you've got the decaleur mounted on your Ostrichs? Thinking about to add a big front randonneur bag to the bike - but also want to run a fork mounted cable stop for the cantis. So fork has cantis bosses, low rider mounts and the crown is drilled. I don't need paniers. Are there any decent solutions/racks that would work in that setup, despite the cable hanger on the fork? CP in build up - Nishiki "Ultra Tour" in NOS. 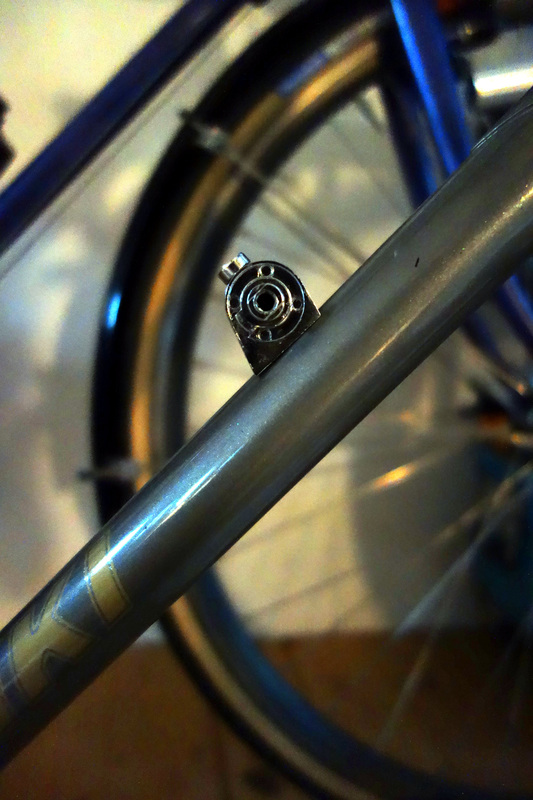 Got almost all parts, just waiting for the Nitto seatpost+Brooks. Will also get a new wheelset which the LBS is currently building. Similar, but with SP dynamo and the VO Grand Cru hub. Cranks are the clover leaves ones you see, but in 44/28.